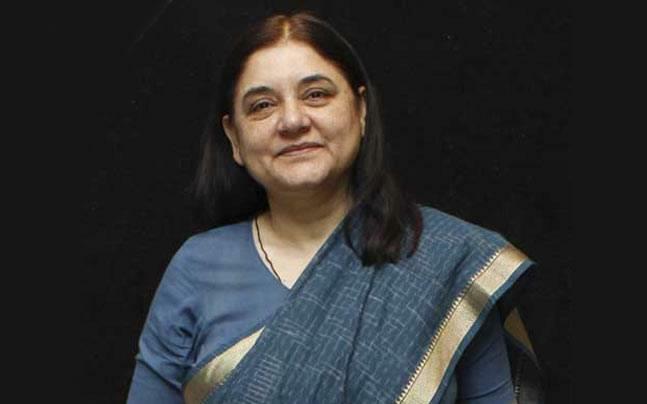 New Delhi, Sep 23: A book charting the history of Kashmiri crafts and detailing its myriad aspects has been launched by Union Cabinet Minister for Women & Child Development Maneka Gandhi and politician Karan Singh. Titled "The Living Art and Craft Tradition of Jammu and Kashmir" it has been authored by Textile Conservationist Madhu Jain. Singh, who served as Governor of Jammu and Kashmir from 1965 to 1967, had exhibited his personal collection in Amar Mahal museum in Jammu, which provided critical reference points as well as the photographs in the glossy book, the author said in a statement. Jain began work on a Government of India-commissioned Kashmir project. The long-term objective of the project was to restore employment lifelines to local Kashmiri artisans by sourcing, developing, marketing and popularising Kashmiri handicrafts in India and abroad. Over the course of the project, she mixed traditional and contemporary design in Kashmiri handicrafts, and presented it to leading museums in New York -- The Metropolitan Museum of Art, Museum of Arts and Design, American Museum of Natural History, and Rubin Museum of Art. "This book can serve as a referral point for others to see how Kashmir is home to some of the finest handicrafts in India. Especially in light of the conflict situation in the valley, it is so important to keep the state's crafts alive and to ensure artisanal employment..." Jain said.